Kurt Necesany was serving with KG 40 in September 1942, based in France, operating Ju 88 C twin-engine fighters. Leutnant Necesany was assigned to 13./KG 40, tasked with protecting U-boats during their passage across the Bay of Biscay. The unit also preyed upon Allied aircraft enroute from the United Kingdom to Gibraltar and the Mediterranean theatre. He claimed his first victory on 11 September, when he shared in the destruction of a RAF Wellington twin-engine bomber over the Bay of Biscay with Leutnant Wilhelm Deuper (6 victories, killed in action 15 February 1945) and Feldwebel Henny Passier (6 victories). By the end of 1942, Necesany had recorded four victories of which two were shared. On 7 February 1943, Oberleutnant Necesany was appointed Staffelkapitän of 14./KG 40. He was particularly successful on 18 July when he claimed a RAF Liberator four-engine bomber shot down and damaged another. On 13 October, 14./KG 40 was redesignated 2./ZG 1. Necesany retained command of the unit. Necesany was appointed Gruppe Ia (Operations Officer) of I./ZG 1 on 8 November 1943. On 14 February 1944, Necesany led a Rotte on a patrol over the Bay of Biscay. Contact was made with a US Navy PB4Y-1 four-engine patrol bomber. Necesany attacked and severely damaged the PB4Y-1 but had also received hits from return defensive fire from the bomber. 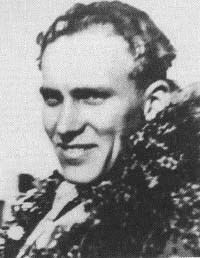 Necesany and his crew failed to return from the mission in their Ju 88 C-6 (W.Nr. 750 967) and despite search attempts no trace was found of them. Kurt Necesany was credited with six victories plus a number of shared and damaged victories. All his victories were recorded over the Western front.